Short Term Trading forex trading links forex trading books market statistics trader values euro and us dollar Shocks Crashing Is the EUR/USD Correcting to 1.3280 or to 1.3130? Is the EUR/USD Correcting to 1.3280 or to 1.3130? The Federal Reserve is providing more liquidity to the economic system, while European banks are already returning money to the ECB. The EUR/USD could reach 1.3280 in the short-term, but it should target 1.38/1.42 by the end of this year. Uncertainty is mounting and the Euro is correcting from recent highs. Nevertheless, the decline should be only temporary. In Italy, Berlusconi is unlikely to win the political elections on February 24. Nonetheless, it would be challenging for the center-left coalitions to form a stable government with the socialist Vendola and the liberal Monti. In Spain the government of Mr. Rajoy, who gained Mrs. Merkel’s admiration for the good job he has done so far on the economy, is under fire after “El Pais” reported that donations were transformed into secret payments to Rajoy and other major Popular Party officials. German politicians are unwilling to make any important decisions, such as those regarding the European Banking Union, before the general elections in September. In addition, political and economic differences between Germany and France are growing and Berlin is moving closer to London to find common ground on the future of Europe. 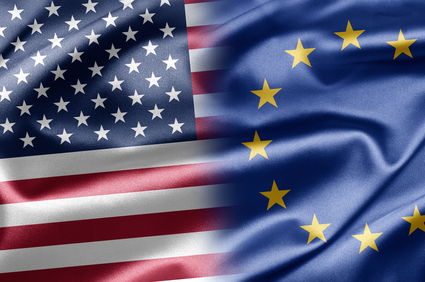 American and European monetary policies are drifting apart. In fact, as the ECB is reducing the amount of money currently in the system, the Federal Reserve is still using quantitative easing in an effort to facility economic recovery. Therefore, despite current decline, which could take the EUR/USD to 1.3280/1.3130, the euro stays well supported against the US dollar. The initial target should be 1.38, and the subsequent target should be 1.42. European yields are falling and money is returning to the peripheral countries. Financial institutions have already repaid 141 billion euro of the 489 billion euro received from the first LTRO. Normalization and recovery are expected in Europe. The ECB left rates unchanged last week, and the decision was unanimous. President Draghi has also confirmed that the ECB will remain accommodative this year. In the United States, economic growth is improving moderately. The most important components of the Gross Domestic Product (GDP) have shown strength. Also, a vast majority of the S&P 500 companies have exceeded consensus estimates. Overall, growth is more than 5.0%, compared to 1.4% in the third quarter of 2012. Lastly, the unemployment rate could fall to 7.0% this year. Signs of employment acceleration are growing. In January, the ISM employment indexes reported 57.1%, the highest level since 2006 when the private sector was producing more than 200,000 positions a month. Job expansion should enhance household confidence and improve consumption. In 2012, household spending was more than 70% of GDP. However, the participation rate remains weak; a sustained decline in the unemployment rate will be required, before the trust of companies and households in the job market is restored.